Martin Komarc has a Master’s Degree (2009) and doctorate (2017) in Physical Education and Sport. Both degrees were obtained from the Department of Kinanthropology and Humanities, Charles University in Prague, Czech Republic. 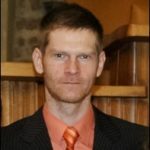 He is a psychometrician by training and his doctoral studies examined the role of computerized adaptive testing using Item Response Theory models with the Physical Self Description Questionnaire. Since 2012, Martin has been research scientist at the Institute of Biophysics and Informatics 1st Faculty of Medicine, Charles University in Prague, where he focuses on statistical data processing in the biomedical field. His main professional interests apply latent variable modeling (Structural Equation Modeling, Latent Class Analysis, Item Response Theory) and adaptive testing in the fields of education, psychology, and medicine.